State elicitation is one area that I think isn’t given enough attention in many NLP books and even courses. But it’s important, because when anchoring fails, most often it’s because you haven’t elicited a strong enough state. Find out how to do it (and of course, eliciting states in an audience, a client or a prospect is a useful thing in itself) in this podcast. My attempt at a “John Major” voice! 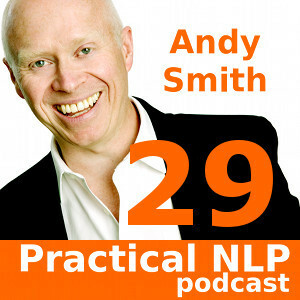 Note: Only the most recent 10 episodes of the Practical NLP Podcast are available free on iTunes. You can still listen to this episode as part of the Practical NLP Podcast Collection Volume 4, which you can get here.